The Office of the Registrar provides the highest quality service to students, faculty, staff and other constituents Graduates!and customers. 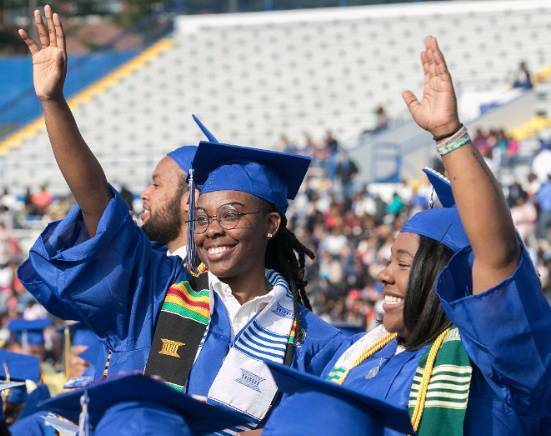 This office processes and reports the academic "earnings" of each student who enrolls at Tennessee State University and coordinates the registration process. We are also the office for those wishing to complete loan deferments, change official data such as name and address, and those with questions related to graduation and course transfer equivalencies. You may download many of the forms associated with these services by clicking this link. Ultimately it is the goal of the Office of the Registrar to respond to inquiries accurately and promptly, to meet or exceed customer expectations for assistance, and to treat our clientele with respect and professionalism. We are always glad to answer your questions, and respond to any concerns you may have. It is easy to reach the Office of the Registrar by emailing records@tnstate.edu or calling (615) 963-5300 .